Home Game News Uncharted 4: A Thief’s End – Who is Sam? Uncharted 4: A Thief’s End – Who is Sam? The upcoming addition to Naughty Dog’s Uncharted series has left it very open for what’s to come for fans of the franchise when they revealed their gameplay presentation at Sony’s Playstation Experience event back in December. Fans continue speculating the various possibilities and obstacles that Nathan Drake will have to endure and overcome on what is potentially his final journey. One thing that we do know from watching the preview is that Drake is re-united with older and previously thought to be dead brother, Sam. This has led to a series of speculations and theories questioning just who Sam really is and what his roll is here in Uncharted 4: A Thief’s End? Although originally cast as Todd Stashwick, the role of Sam was later addressed to the very talented Troy Baker, who is no stranger to the Naughty Dog kennel after his outstanding performance in The Last Of Us. Baker has claimed that re-casts happen on projects all the time, the choice to alter this isn’t a reflection on another actor but the character and story have been said to go in a different direction than initially planned, thus leading the developers to reconsider the character’s performer. So what do we know about Sam? In all honestly, not a lot. We know he is roughly five years older than Nate, it has also been mentioned that his disappearance on Nate’s abandonment as a child is the crux of Nathan Drake’s motivation to pursue a life as a treasure hunter. The gameplay preview establishes that the reunited brothers travel to Libertalia, a mythic colony of Madagascar, founded and claimed by pirates. This is only one of the showcased locations of the game but its certainly a great place to kick-start their journey. Could this dialogue be referring to Nate himself? We will never really know the truth until the release of Uncharted 4. We must keep in mind that there is also the possibility that due to the supposed change in character and story elements, this early tease of dialogue may no longer play a part in the final product. 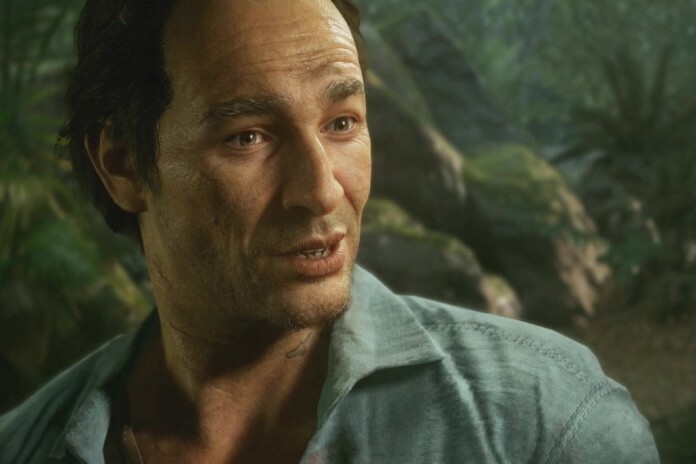 Only time will tell as we wait to hear more about the Drake brother’s relationship in the highly anticipated Uncharted 4: A Thief’s End.